It's been about two months since my libposif-0.9 library started to show its first signs of life, and now i have my first libposif-1.0 with [what i believe it is] a stable API. When i first defined the libposif API it wasn't totally clear to me how it will integrate in a message loop-based environment (such as is the case with all modern GUI frameworks, e.g. GTK, Borland, MS, Qt), so during the past couple of months i had to re[de]fine the API specifications and make the required implementation changes. 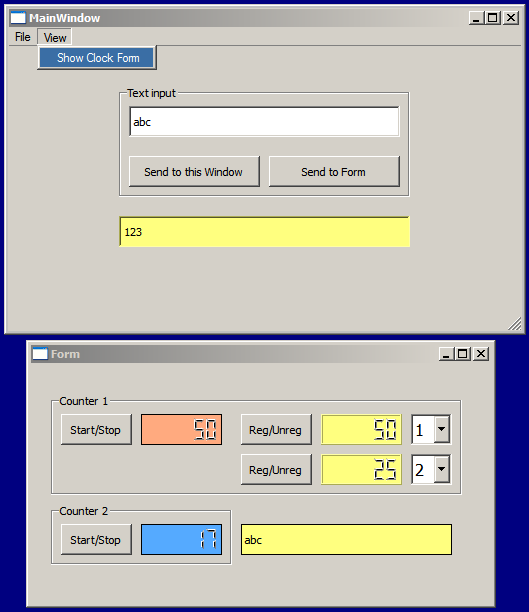 Cross-link the native environment's objects (i.e. 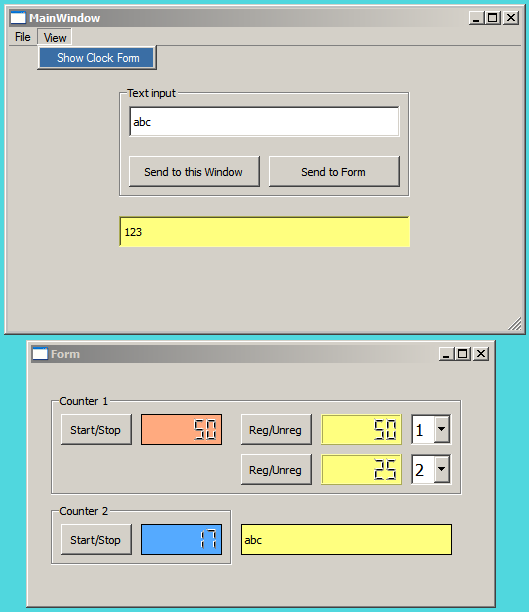 windows, forms, dialogs, etc) with the MyMessagingInterface object (nothing weird or hi-thech here, just some plain old pointer cross-referencing between the host environment's native objects and the MyMessagingInterface object, say 10 minutes of typing some pointer variable declarations and some pointer assignments). 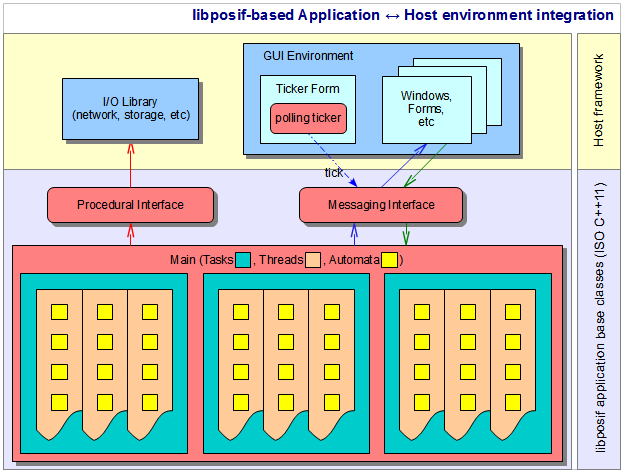 Sure enough, the list above is just a power point list and nothing more, but the point is that that's really all there is to integrating a libposif-based application into any host environment; once the above procedure has been walked though, the libposif application's output messages will trigger methods in the host environment, and host environment's events will be pushing messages to the libposif application's input buffer. Well, all in all it's been a bit long (and occasionally bumpy) a road to reaching this point, but given what i know is needed to implement the P2P OS algorithms, there was simply no way of cutting corners: i needed an asynchronous computing framework to implement autonomous agents that talk to each other, i needed this framework to be exclusively standards-based in order to be truly cross-platform, and i wanted complete control over how my applications will integrate in any host environment in order not to rely on any particular host framework (may it be open-source or not). And libposif-1.0 does just that. So, finally, i'm now ready to start working on P2P OS itself. It is my intention to release libposif as a stand-alone open-source module, but before doing that i'll have to write at least a brief documentation for its API, and i have no clue when/if i'll find enough energy to do that. Until then, as always, anyone interested just drop me a line.